Nano titanium and ceramic infused into the grill. Ceramic and Nano-Titanium Ionic technology gives you a static free, frizz free, smooth, and silky hair experience. 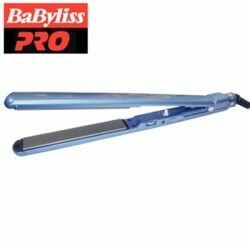 This flat iron is hot and offers powerful airflow for fast drying. Narrow concentrator nozzle and light weight. BaByliss Pro Straightening Iron comes with extra long and smooth plates for high speed styling. Its true ion generator maximizes negative ions and far infrared heat to guarantee a shiny, healthy and smooth hair experience. BaByliss introduces innovative U Styler with curved side plates for the Pro Nano Ceramic and Ryton Flat Iron. 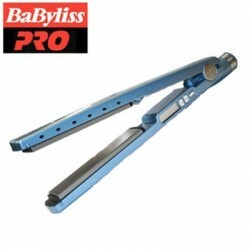 BaByliss introduces a flat iron with ultra thin plates. Its extra long slim plates are built with nano-titanium and ceramic technology. Babyliss Pro Tourmaline Ceramic Curling Iron features ultra-powerful heaters that provide fast, steady maximum temperatures. Tourmaline/Ceramic Technology closes the hair cuticle resulting in smooth, glossy hair. Weighs less and delivers more air pressure and higher heat than standard full size dryers. BAB6685 is ergonomically designed to offer more styling control and comfort. 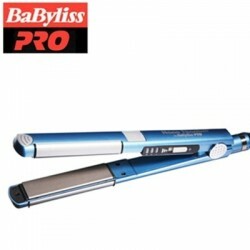 Babyliss Pro Twin Turbo offers high heat and extra powerful airflow. Experience a firm grip and maximum comfort with its ergonomically designed handle with soft rubberized grip.